The Harloff Medstor Max Triple Wide Full Shell Catheter Procedure Cart with Tambour Door is designed to provide support for catheterization procedures. 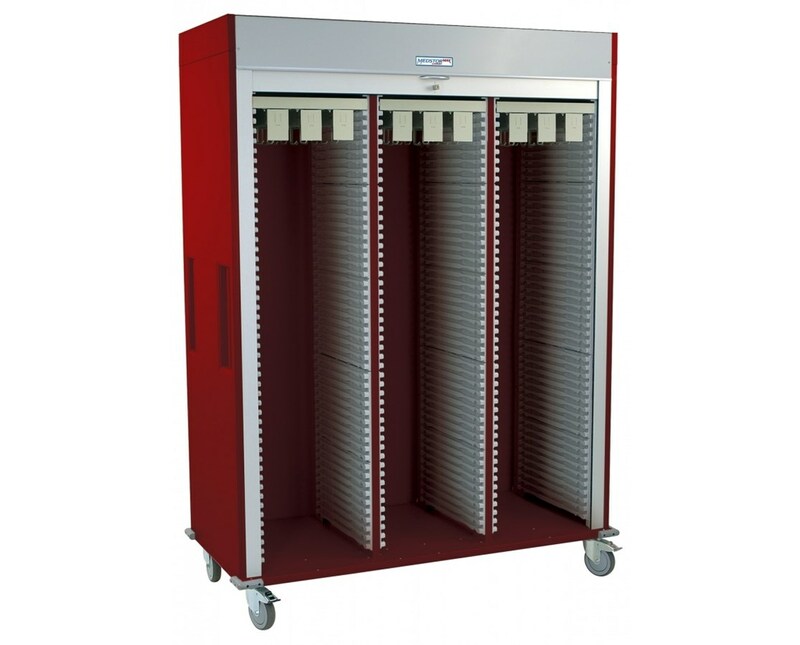 With this high density storage system, your cath lab will be set up to handle the wide range of catheter sizes and packaging techniques. The cart comes equipped with nine full extension catheter slides (each with six or eight pairs hooks sold separately, each hook holds up to 15 catheter packages). A pair of ball bearing slides powers each catheter slide, allowing them to withstand the pull-force of removing catheters from the hooks. Full extension of the slide brings catheters into full view for quick access and visual inventory of your remaining stock. Aside from the catheter slides, this cart can be customized with exchange trays and wire baskets of various sizes thanks to ABS plastic side panels. Additionally, either column can be removed to create a double-wide column next to a single wide, and shelves can then be added to the double-wide for even further functionality. This degree of versatility makes this cart the perfect addition to any cath lab. 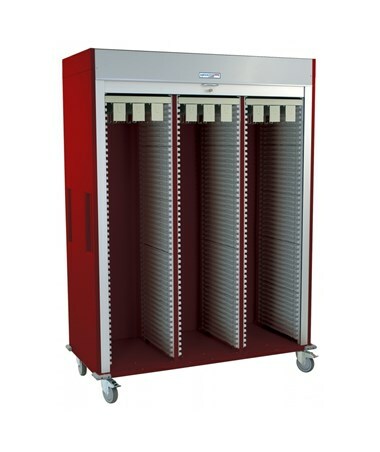 It uses a roll-up tambour door (with key lock) to moderate access to supplies during clinical hours. Moving the cart is easy thanks to integrated push handles (flush with cart side) and full swivel premium 5" casters (two with brake) featuring corner bumpers. The cart ships fully assembled in standard Sand color, with 16 other colors (View Chart) to choose from. Select from the drop-down menu above and order online direct by clicking "add to cart!" Tiger Medical offers a 30 day return policy from date of shipment for this product, subject to a 25% restocking fee, in addition to the return shipping charges. The product must be in new condition and in its original packaging. The following 5 Custom Colors cannot be returned (Hammer Red, Hammer Black, Mauve, Forest Green & White). 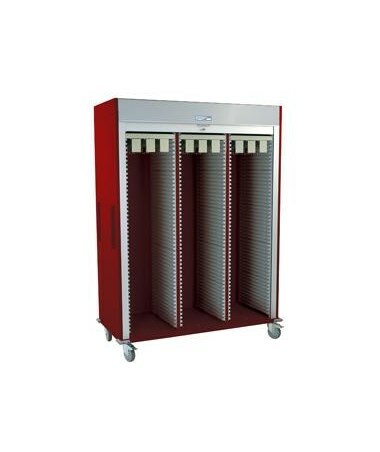 We take the responsibility to make sure this product arrives in brand new working condition. Should your item arrive damaged, we will replace the product at no cost to you.